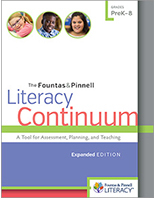 The Fountas & Pinnell Literacy Continuum: Expanded Edition is the newest edition of the beloved Continuum of Literacy Learning resource by best-selling literacy authors and educators, Irene Fountas and Gay Su Pinnell. This book contains seven continua. 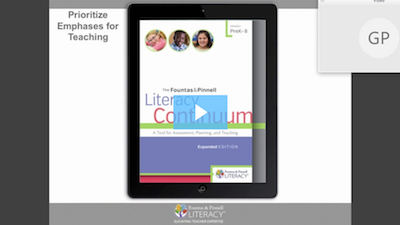 Each continuum focuses on an area of the language arts curriculum. 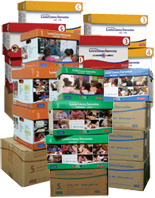 Six continua provide grade level expectations and are designed for planning group instruction. 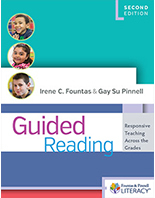 The seventh, the Guided Reading continuum, is organized according to the Fountas and Pinnell Text Level Gradient™ and correlates directly with the Fountas and Pinnell Benchmark Assessment System levels and the Fountas and Pinnell Leveled Literacy Intervention Systems. 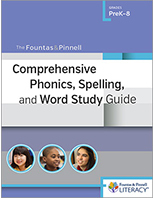 The continua provide specific descriptions of the texts that students read, listen to, write, and perform. 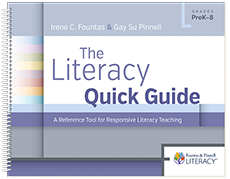 In addition, each continuum lists specific behaviors and understandings that are required at each level for students to demonstrate thinking within, beyond, and about the text. These behaviors and understandings describe what students will be expected to do in order to effectively read and understand the text.